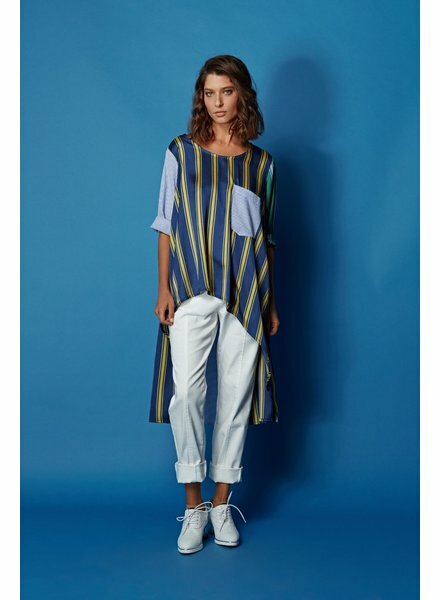 Features blue pinstripe sleeves, a single front pocket with a dark blue and yellow stripe HiLo. 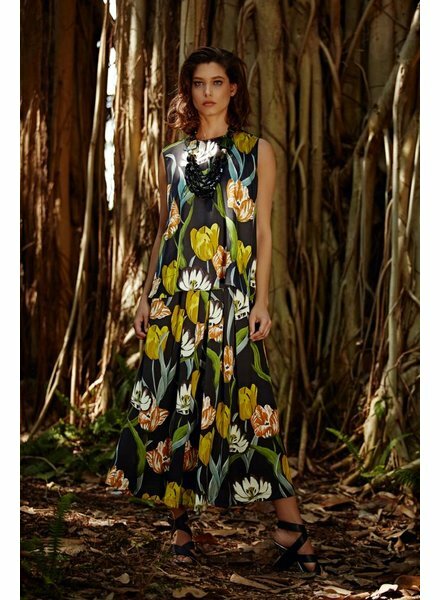 The Sleeveless Tulip Shell by Alembika is a sleeveless, higher round neckline top with a large tulip print. 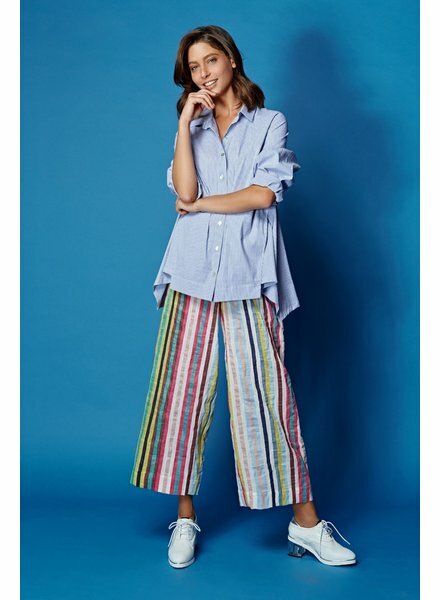 A simple sky color pinstripe blouse with a pop of multi-color stripes on the back shoulders. 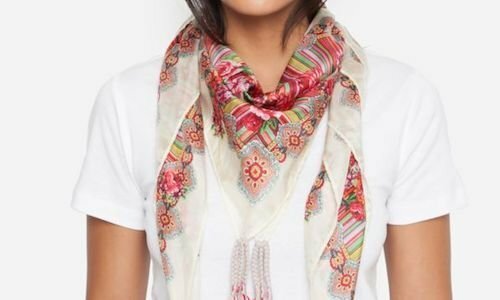 The Amber Button Up Blouse by Alembika is the perfect Spring blouse. Collared with a button down front and 3/4 sleeve. 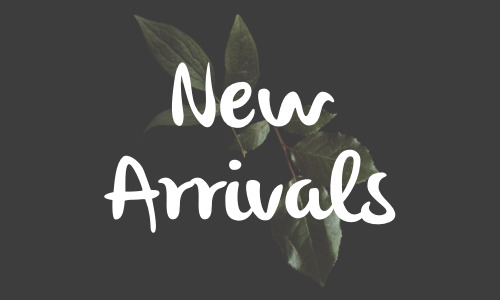 A long sleeve, round neck tunic that is short is the front and midi length in the back. 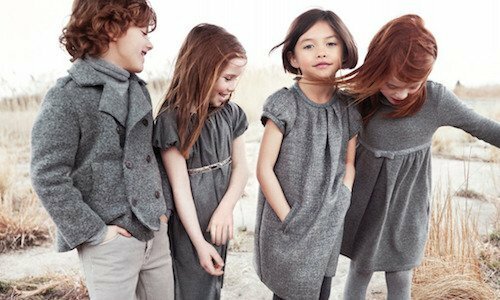 A Black/Grey top with 3/4 sleeves, collar neck and button downs the front. 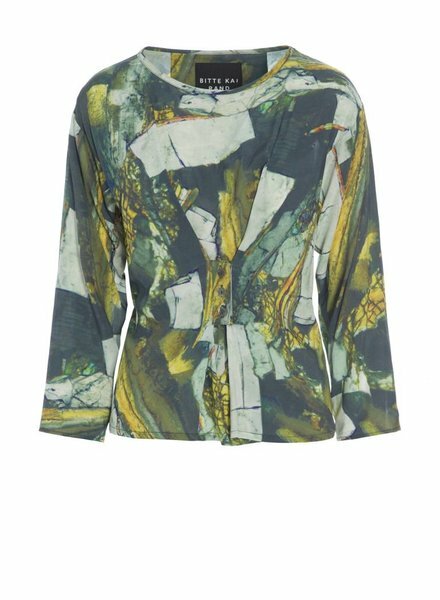 The Sleeveless Hive Tunic Top by Akembika featuring their new Hive print and sleeveless design. 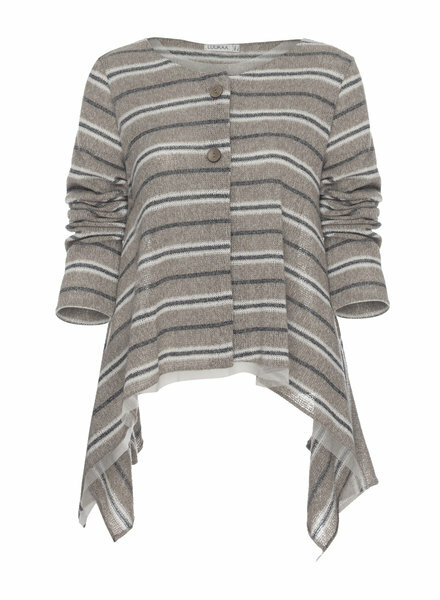 The Melanie Knit Stripe Cardigan by Luukaa is a long sleeve, beige stripe cardigan with large buttons down the front. 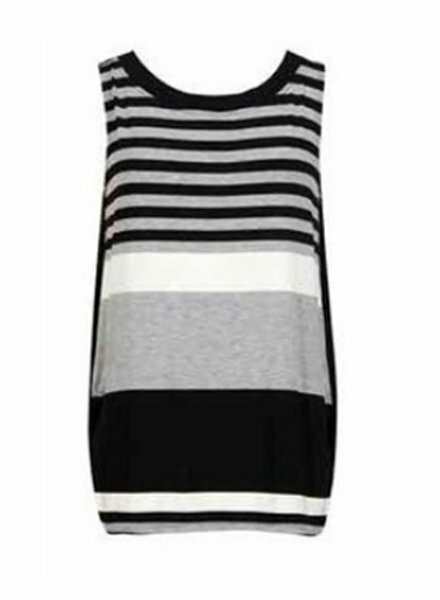 A sleeveless, black/white/grey multi-stripe tank with a crew cut neckline. 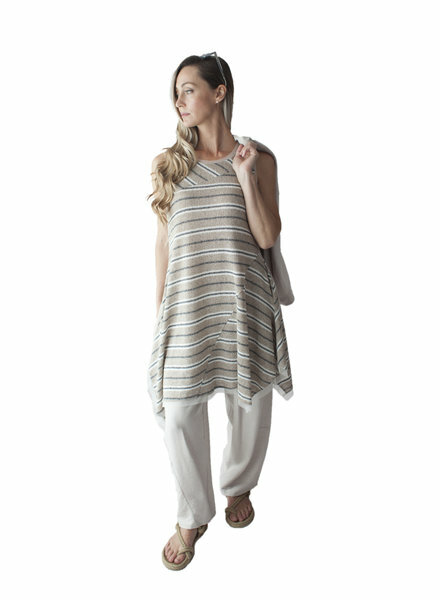 The Melanie Knit Stripe Tunic by Luukaa is a sleeveless tunic, beige stripes with a cream color mesh hem. 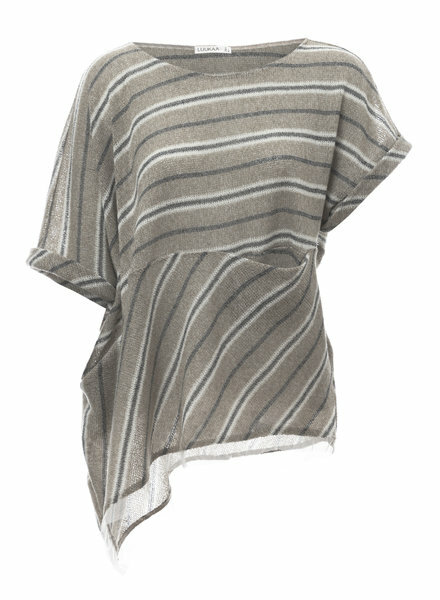 The Melanie Knit Stripe Blouse by Luukaa is a knit beige and grey stripe blouse with a single left pocket and mesh hem. 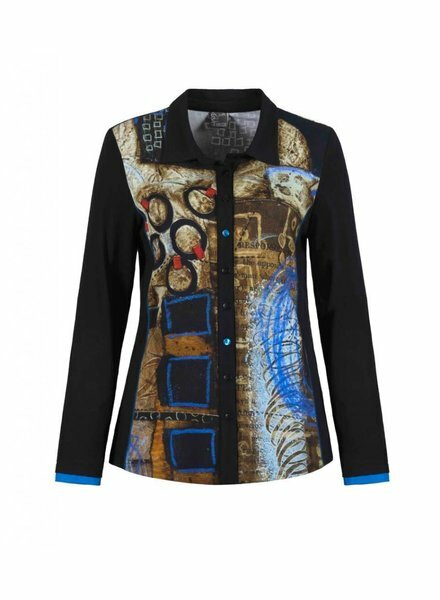 This super soft and colourful blouse is based off of artwork "Respond To Patterns" by Laura Lein-Svencner. 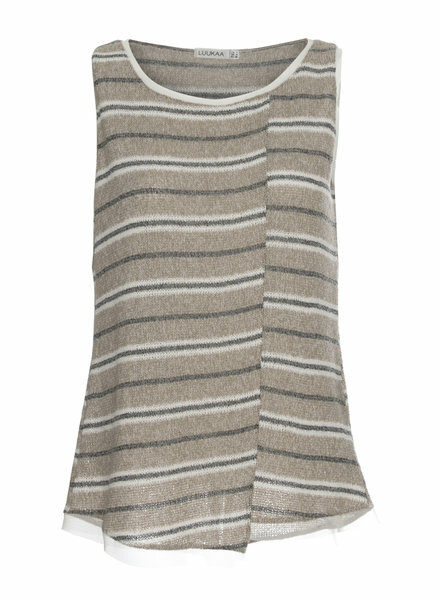 The Melanie Knit Stripe Tank by Luukaa is a sleeveless, round neckline tank with beige and grey stripes and mesh hem.